Scott Fly Rods has a fairly predictable schedule: they make a new fast-action stick one year (most recently, the S4), and then they follow up with a saltwater version the next year, to which they add an ‘s’ (most recently, the S3s). (Meanwhile, they also run some weirder rods through their ‘Concepts’ line; rumor has it this year’s rod is very weird indeed). Typically, the saltwater ‘s’ stick will resemble the freshwater rod but be stiffer and faster. This year Scott seems to have tweaked the formula a little bit. Yes, there is a new S4s; yes, it is a fast-action, high end saltwater version of the S4. But the tapers do not seem to have the radically stiffer nature of some earlier ‘s’ models from Scott. The S4s has a Type-III anodized seat (akin to Lamson’s Hard Alox coating, darn near indestructible), as well as REC Recoil guides, which bounce-back when you flex them. This added flexibility reduces stiff spots on the blank, making the rod very smooth. Unlike some Scotts, these come with conventional sleeve ferrules instead of the internal ferrule on, say, the G2. They are gray like the S4 with teal blue highlight wraps (see picture). I’ve test-casted the 7, 8 and 9 weight S4ses, and they are really smooth, with slightly softer tips than I remember from the S3s, but more power. (In fact, after a Friday night with friends–good casters all–we took the party outside and threw the S4s rods in the street. Despite our mild inebriation, the rods were incredibly accurate and surprisingly long, especially paired with Rio‘s newest Bonefish line.) I feel comfortable saying this is the best saltwater Scott I have ever thrown. 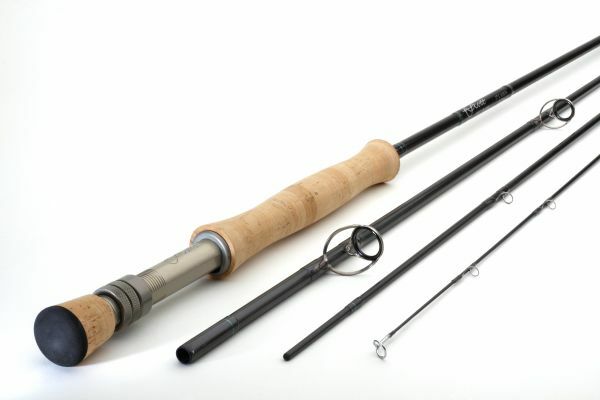 Have a comment on Scott Fly Rods or the new S4s? Share it with us in the Comments section.